Peerless was one of the finest American motor cars you could buy before WWII. And their obsession with quality started early, even if these early cars were a little more innovative than their later creations. 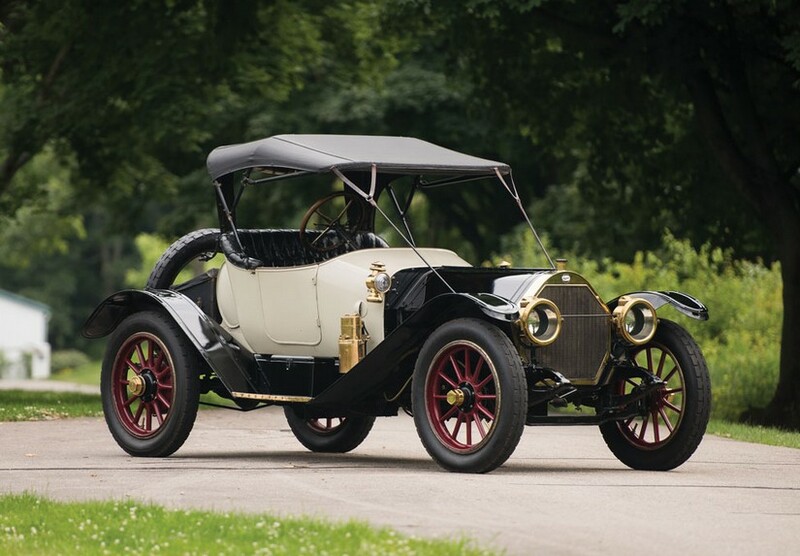 The Type 8 was one of three models you could buy from the company in 1904. This car carries “King of Belgium” coachwork from the J.M. Quinby Company of Newark, New Jersey, and power is from 24 horsepower inline-four. This car has been in collector hands since the 1950s and was first restored in the 60s. It’s the type of car you only ever see in museums. But it can be yours – for between $400,000-$480,000. Click here for more info. 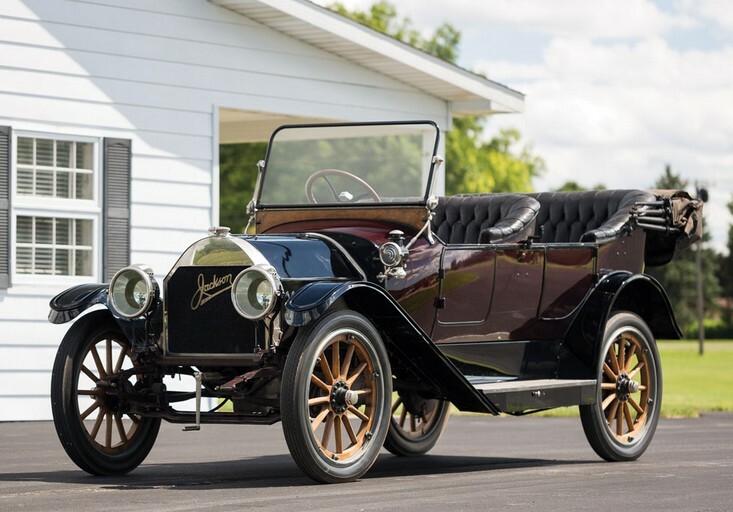 The first Thomas cars were sold in 1903, but the 1904 Flyer would be the car that would take the company to great heights before they ultimately went out of business in 1918. 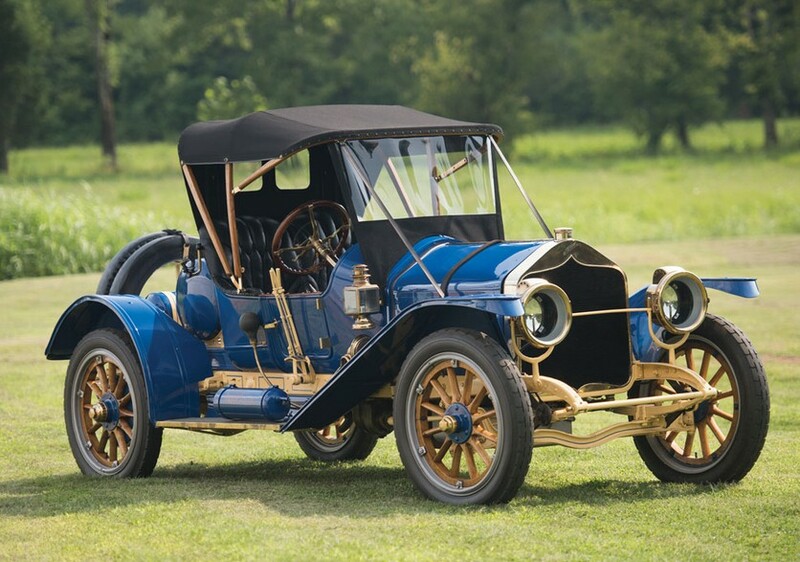 In 1904, the Flyer was the company’s first multi-cylinder automobile: a 24 horsepower, 4.3-liter inline-three. This car is being sold from the estate of Harold Coker, who owned quite a few Thomas Flyers. 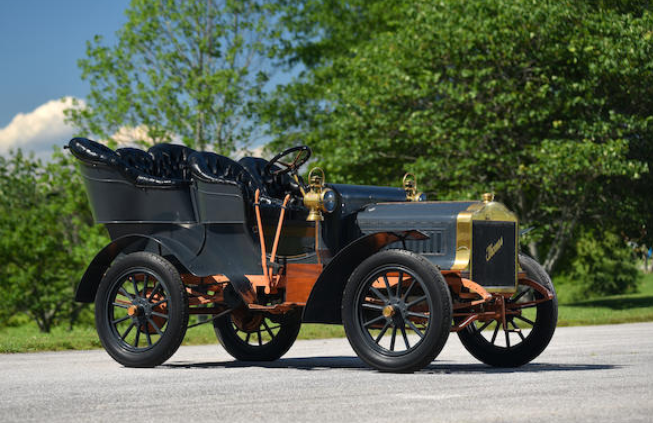 It is said that this is the only Model 22 Flyer remaining, making it the earliest such example of the legendary name that won the famed New York to Paris race in 1908. It should bring between $400,000-$500,000. Click here for more info. 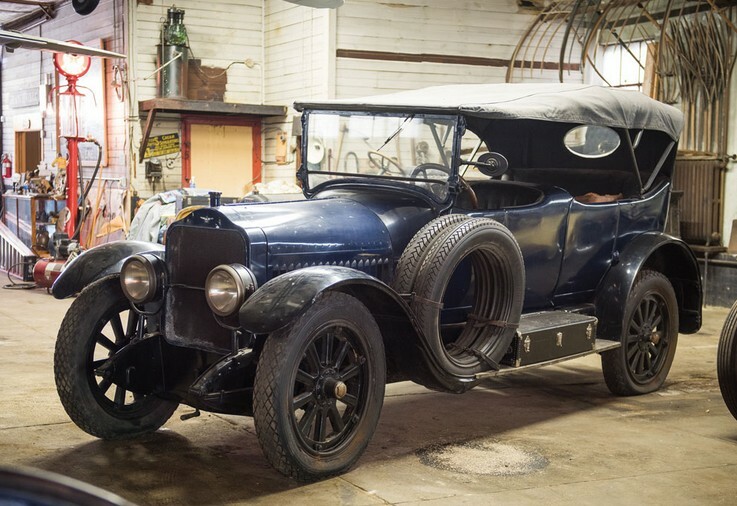 After the Duryea brothers parted ways, Frank teamed up with the Stevens Arms Company to begin production of a finely engineered automobile called the Stevens-Duryea. The company existed in Chicopee Falls, Massachusetts from 1901 through 1927. These big early tourers were really their best stuff. The Model U was technically a 1907 model, but it doesn’t matter. Because it’s awesome. Power is from a 35 horsepower, 5.5-liter inline-six. Ten examples of the Model U are said to exist, which is good news. Hopefully, they’ll be around for a long time to come. This particular car should bring between $175,000-$225,000. Click here for more info and here for more from this sale. Edwin Ross Thomas and this E.R. 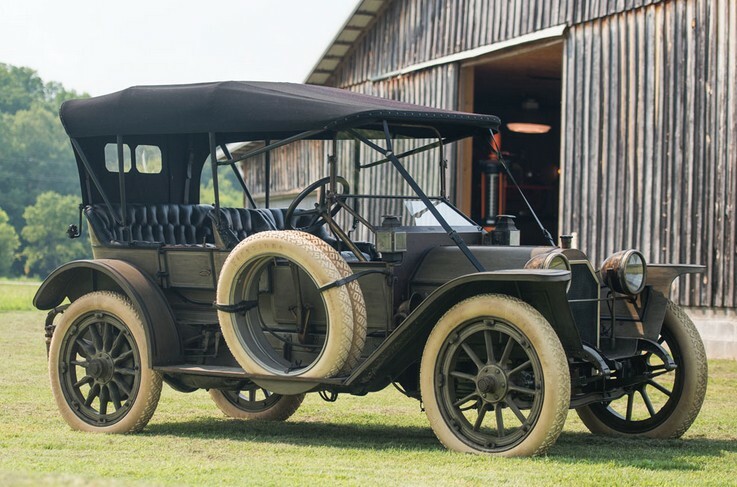 Thomas Motor Company began producing automobiles in 1903 after years of engine and motorized bicycle sales. 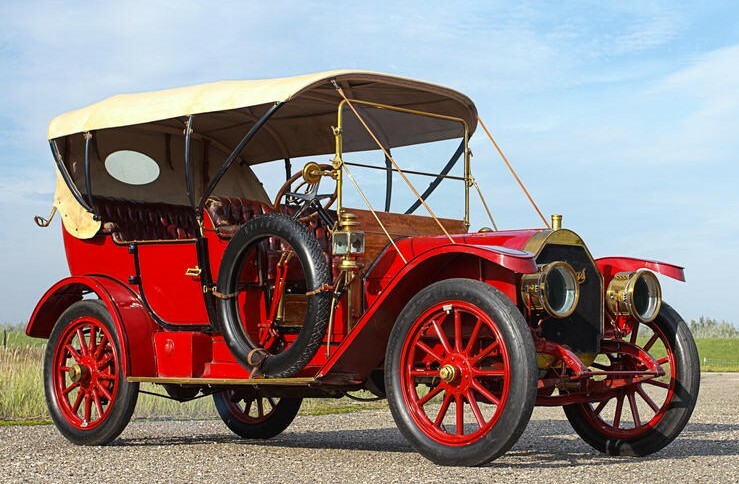 This is the same company that would became famous for the Thomas Flyer – one of America’s most famous automobiles because of its 1908 New York to Paris Race win. 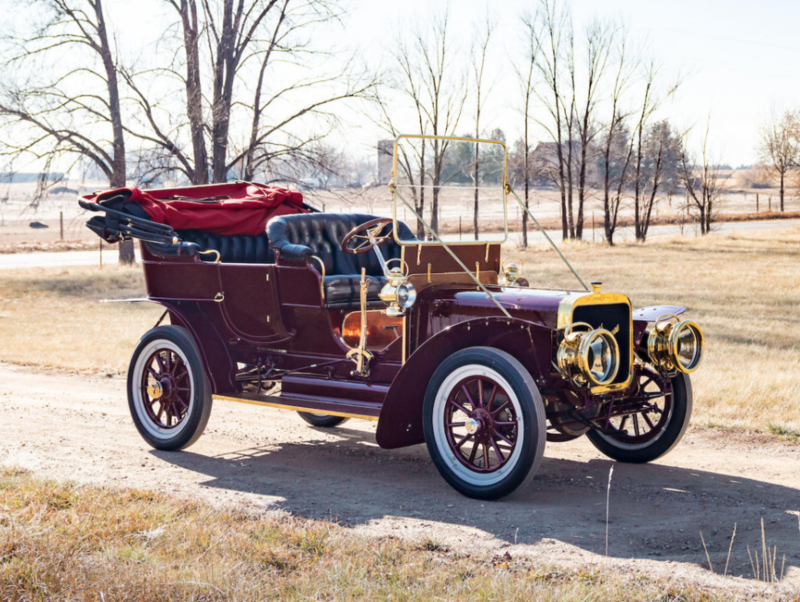 This 1903 Model 18 is one of two models produced by Thomas in 1903. The cars were more or less identical except in trim, and this was the more expensive model and it was only offered in this body style. The engine is an eight horsepower single-cylinder. This car sports a fresh restoration and its French-style body rides on glorious white tires (a ClassicCarWeekly.net fave!). We aren’t sure how many of these are left, but it can’t be many. 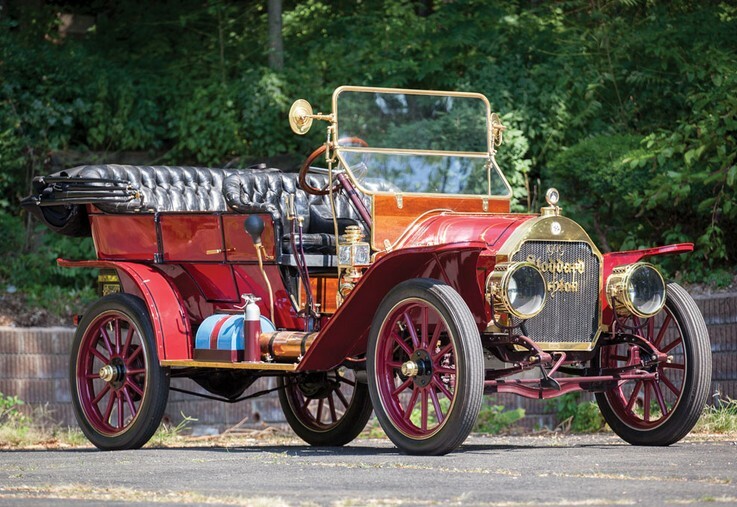 Check out more from Bonhams here and see more from this sale here. The E.R. Thomas Motor Company was founded by Edwin Ross Thomas in 1896 in Buffalo, New York. He initially sold gas-powered conversions for bicycles before offering complete motorized-bicycles. 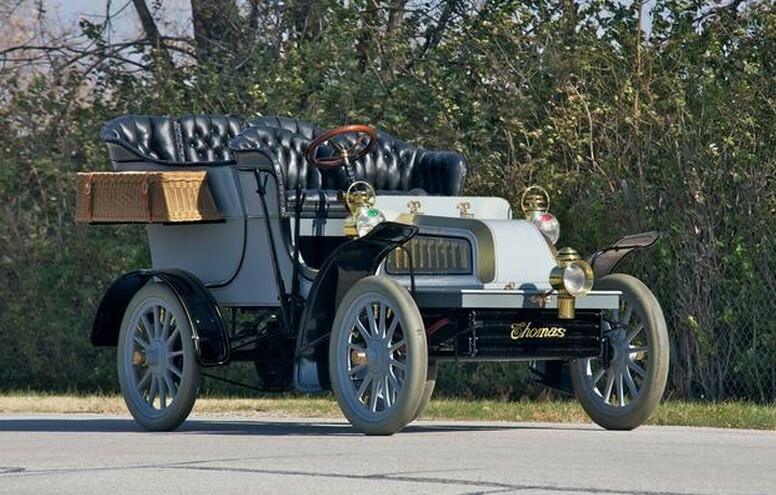 In 1902, they built their first automobile. 1908 was a turning point for the company. It went from just another early American automobile manufacturer to one of legend. 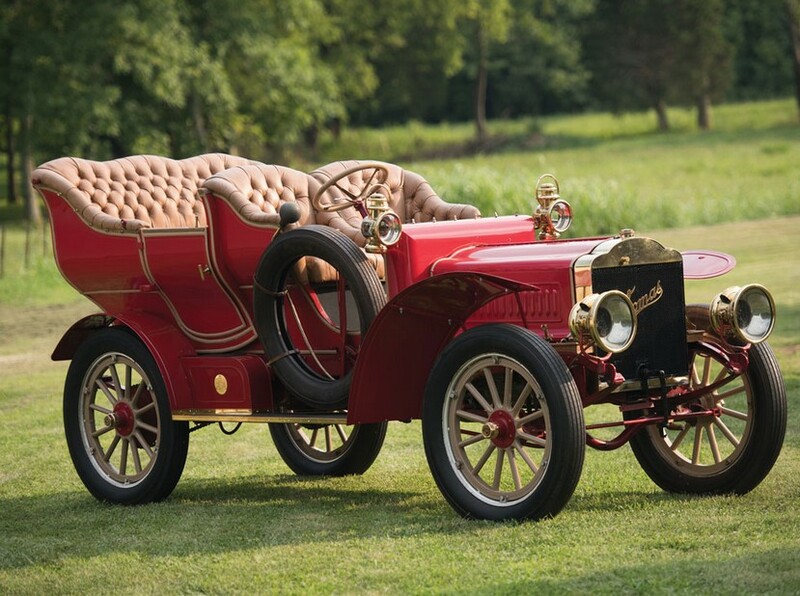 The company won the 1908 New York to Paris race – and the winning car survives today in the Harrah Collection in Reno. The very car you see here was also part of that collection at one point. 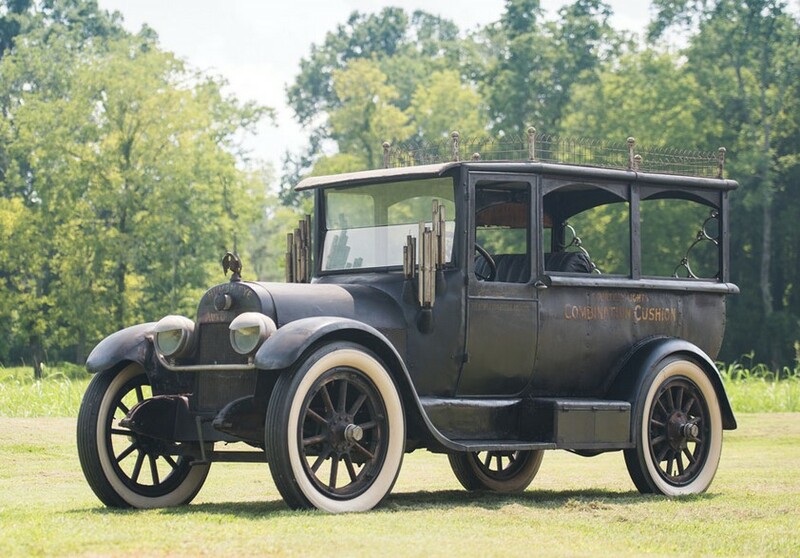 This Model 6-40 Touring uses a 7.2-liter straight-six making 64 horsepower. It has rear drum brakes only – so get on the pedal early if you want to stop! What’s cool about this car is that its ownership history is known from new. 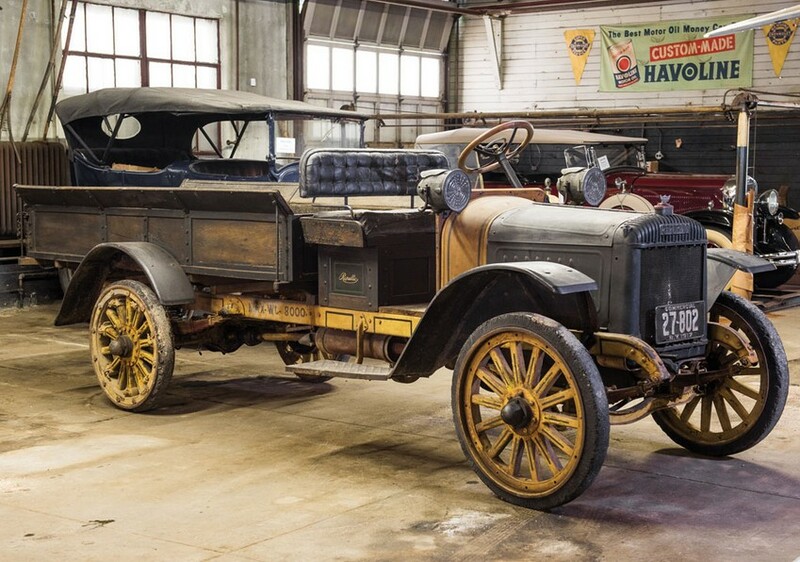 It was put away by its first owner in 1918 when he went off to war and was not started again until 1958. Bill Harrah bought it in the 1960s and repainted it. That is the only know restorative work done on the car in its history. 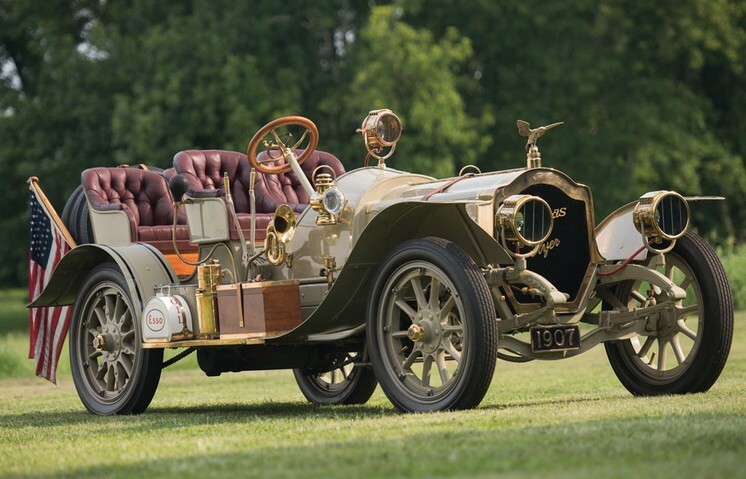 This car is mostly original – the leather, the brass, the drivetrain. Thomas Flyers are awesome cars. They are durable, quick, and powerful. A car like this deserves a great home. It should bring between $250,000-$350,000. 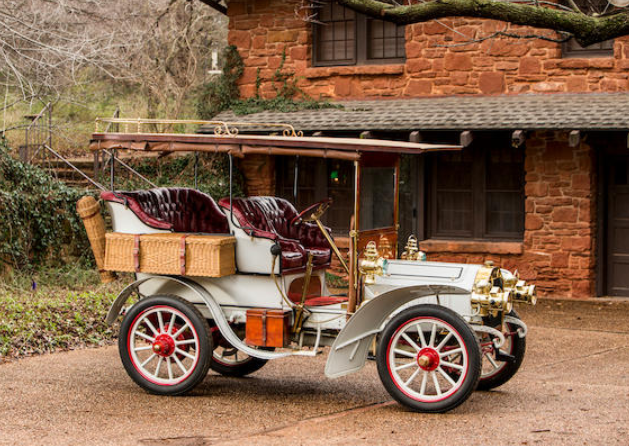 Click here for more info and here for more from Bonhams in Arizona.